Easter was an amazing day at Awestruck Church. We definitely set an all time attendance record. We worshiped for the first time in our new location in downtown Gibsonville. More importantly, many people indicated that they accepted Jesus Christ as their savior. You can click Right Here to watch the video of the Easter sermon. If I were locked away my only hopes would be the day that the Prison doors were opened up and I was able to walk away a free man. He was a revolutionary against the Roman government. Mark 15 : 7 One of the prisoners at that time was Barabbas, a revolutionary who had committed murder in an uprising. Barabbas was the first person in History that felt the immediate Freedom From the Sacrifice Jesus made for this world! And the effects of what Jesus did are still changing the world today! Hebrews 13 : 8 Jesus Christ is the same yesterday, today, and forever. John 3 : 16 “For this is how God loved the world: He gave his one and only Son, so that everyone who believes in him will not perish but have eternal life. 17 God sent his Son into the world not to judge the world, but to save the world through him. Ephesians 1 : 4 Even before he made the world, God loved us and chose us in Christ to be holy and without fault in his eyes. 5 God decided in advance to adopt us into his own family by bringing us to himself through Jesus Christ. This is what he wanted to do, and it gave him great pleasure. 6 So we praise God for the glorious grace he has poured out on us who belong to his dear Son. 7 He is so rich in kindness and grace that he purchased our freedom with the blood of his Son and forgave our sins. 8 He has showered his kindness on us, along with all wisdom and understanding. I am Barabbas! You are Barabbas! Romans 6 : 23 For the wages of sin is death, but the free gift of God is eternal life through Christ Jesus our Lord. Jesus came to set us free and take our punishment! We have reason to celebrate that His tomb was empty! The Empty Tomb is our Source of a life that is Full and Abundant! We are no longer a prisoner to Sin because Jesus has the power to set us FREE! Jesus, the Son of God, was sent to earth to take on the sins of the world. He died a physical death and came back to life! The Resurrection is the source of our Faith and our only Hope! The Empty tomb is the hope for all Humanity! Jesus suffered and died so that we could be experience true freedom! Today we choose to celebrate our Risen Savior who has victory of death. The ending of his life was brutal, violent, ruthless, savage, And undeserved. But his capacity to love never surrendered. His human body failed him … But his amazing love for you and me carried him all the way to a cross where He was tortured till his death. It would be grotesque for us to worship a God who would put His only son through such useless abuse and misery if there were no better conclusion to the story. –He no longer lays lifeless in a cold tomb. –He sits and reigns in Heaven, beside His father. Jesus is the sacrificial lamb that took on our sins so that we could know God personally. Jesus is the one who speaks on our behalf, even in the face of our betrayal. He is the bridge that allows us passage across the great separation from our God. -It was His humility that put him on the Cross. -It was His love that brought us Forgiveness. -It was His sympathy that provides us grace. -It was His suffering that heals our pain. And an Eternity full of worship and praise to God in Heaven. Let us worship the sacrifice and Let us Celebrate the victory of our Savior today! We are Free! He is Alive! One thing we can be sure of in life… Things will change! It was a big ticket item and I just had to have it … It was a game changer! It doesn’t hold many songs, No Touch Screen, No Candy Crush Saga??? God has used this property to do some amazing work and gather some pretty awesome people. God will move among His people as long as we are following His Plan and Seeking to give Him the Glory. Eph 3 : 19 May you experience the love of Christ, though it is too great to understand fully. Then you will be made complete with all the fullness of life and power that comes from God. 20 Now all glory to God, who is able, through his mighty power at work within us, to accomplish infinitely more than we might ask or think. 21 Glory to him in the church and in Christ Jesus through all generations forever and ever! Amen. 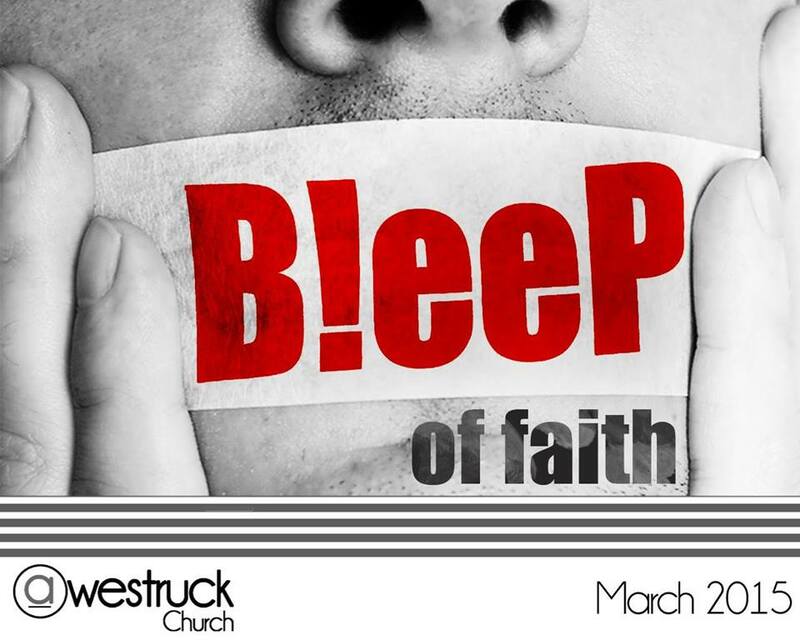 Here is week 2 from our series “Bleep of Faith”. You can click Right Here to watch the video. All kids reach an age that we both are excited for and dread. That age when they start saying “I can do it myself”. Titus 3 : 4 But—When God our Savior revealed his kindness and love, 5 he saved us, not because of the righteous things we had done, but because of his mercy. He washed away our sins, giving us a new birth and new life through the Holy Spirit. 6 He generously poured out the Spirit upon us through Jesus Christ our Savior. 7 Because of his grace he declared us righteous and gave us confidence that we will inherit eternal life. Romans 12 : 12 The human body has many parts, but the many parts make up one whole body. So it is with the body of Christ. Separated the body parts become almost useless! 13 Some of us are Jews, some are Gentiles, some are slaves, and some are free. But we have all been baptized into one body by one Spirit, and we all share the same Spirit. 14 Yes, the body has many different parts, not just one part. 15 If the foot says, “I am not a part of the body because I am not a hand,” that does not make it any less a part of the body. 16 And if the ear says, “I am not part of the body because I am not an eye,” would that make it any less a part of the body? 17 If the whole body were an eye, how would you hear? Or if your whole body were an ear, how would you smell anything? 18 But our bodies have many parts, and God has put each part just where he wants it. Each one of us has a very specific role to play in God’s Plan! 19 How strange a body would be if it had only one part! 20 Yes, there are many parts, but only one body. 21 The eye can never say to the hand, “I don’t need you.” The head can’t say to the feet, “I don’t need you.” 22 In fact, some parts of the body that seem weakest and least important are actually the most necessary. 23 And the parts we regard as less honorable are those we clothe with the greatest care. So we carefully protect those parts that should not be seen, 24 while the more honorable parts do not require this special care. So God has put the body together such that extra honor and care are given to those parts that have less dignity. 25 This makes for harmony among the members, so that all the members care for each other. 26 If one part suffers, all the parts suffer with it, and if one part is honored, all the parts are glad. 27 All of you together are Christ’s body, and each of you is a part of it. If we are all individual parts of one body then none of us can survive alone and severed from our source of life. Acts 2 : 42 All the believers devoted themselves to the apostles’ teaching, and to fellowship, and to sharing in meals (including the Lord’s Supper), and to prayer. 43 A deep sense of awe came over them all, and the apostles performed many miraculous signs and wonders. 44 And all the believers met together in one place and shared everything they had. 45 They sold their property and possessions and shared the money with those in need. 46 They worshiped together at the Temple each day, met in homes for the Lord’s Supper, and shared their meals with great joy and generosity— 47 all the while praising God and enjoying the goodwill of all the people. And each day the Lord added to their fellowship those who were being saved. Eph 4 : 2 Always be humble and gentle. Be patient with each other, making allowance for each other’s faults because of your love. 3 Make every effort to keep yourselves united in the Spirit, binding yourselves together with peace. 4 For there is one body and one Spirit, just as you have been called to one glorious hope for the future. And the thing that binds us together is Peace! Galatians 6 : 1 Dear brothers and sisters, if another believer is overcome by some sin, you who are godly should gently and humbly help that person back onto the right path. And be careful not to fall into the same temptation yourself. 2 Share each other’s burdens, and in this way obey the law of Christ. 3 If you think you are too important to help someone, you are only fooling yourself. You are not that important. All of us have a spiritual booger! We need others to point it out… not pick it out … Point it out. It’s our responsibility to deal with it and remove it … But you would never see it without the help of a true friend. 1 Thes 5 : 11 So encourage each other and build each other up, just as you are already doing. Romans 14 : 19 So then, let us aim for harmony in the church and try to build each other up. Eph 4 : 29 Don’t use foul or abusive language. Let everything you say be good and helpful, so that your words will be an encouragement to those who hear them. As we prepare to move the location of our Church Services we are asking you to join us in prayer. Each day we will be united in prayer about a specific thing that leads us to Easter. This is a great way for your family to be part of what God is doing through Awestruck. Let’s pray big prayers and trust Him as we move forward. 1 John 5 : 14 And we are confident that he hears us whenever we ask for anything that pleases him. 15 And since we know he hears us when we make our requests, we also know that he will give us what we ask for. This week we began a new series about the danger of censoring out the power of our faith in Christ. The unbelieving society will naturally censor out the name of Jesus. As Christians we need to be careful to not do the same. 2 Corinthians 2 : 15 Our lives are a Christ-like fragrance rising up to God. But this fragrance is perceived differently by those who are being saved and by those who are perishing. 16 To those who are perishing, we are a dreadful smell of death and doom. But to those who are being saved, we are a life-giving perfume. And who is adequate for such a task as this? 1 Corinthians 1 : 18 The message of the cross is foolish to those who are headed for destruction! But we who are being saved know it is the very power of God. 19 As the Scriptures say, “I will destroy the wisdom of the wise and discard the intelligence of the intelligent.” 20 So where does this leave the philosophers, the scholars, and the world’s brilliant debaters? God has made the wisdom of this world look foolish. 21 Since God in his wisdom saw to it that the world would never know him through human wisdom, he has used our foolish preaching to save those who believe. 22 It is foolish to the Jews, who ask for signs from heaven. And it is foolish to the Greeks, who seek human wisdom. 23 So when we preach that Christ was crucified, the Jews are offended and the Gentiles say it’s all nonsense. 24 But to those called by God to salvation, both Jews and Gentiles, Christ is the power of God and the wisdom of God. 25 This foolish plan of God is wiser than the wisest of human plans, and God’s weakness is stronger than the greatest of human strength. –The Danger of the believer censoring the name of Jesus is that we mute our faith of all the power that is available to us! The name of Jesus has Power! But Christians should not be Offensive! 1 Corinthians 1 : 18 The message of the cross is foolish to those who are headed for destruction! But we who are being saved know it is the very power of God. In case you missed the news this weekend…Awestruck Church is moving our meeting spot to a Historic movie theater on Main Street in downtown Gibsonville. As we have been planning this move and talking with people, certain questions have been asked over and over. From our staff to some first time guests who heard the announcement on Sunday, these are the top questions we have answered. Our heart was to plant in and reach Eastern Guilford county when we started meeting in my house almost 8 years ago to plan and dream about starting a church. 8 years ago we looked at meeting locations from Alamance Crossing all the way up to the Mt. Hope Church Road exit on Hwy 85. Gibsonville is in the perfect location to fulfill the vision that God gave us so many years ago. Also, when we considered moving closer to Greensboro there were several factors that caused us to stop and say no. Property in Greensboro is expensive to lease or purchase. There are so many great churches doing amazing things for the Gospel in Greensboro. God is calling a large number of church planters into that area that have just recently started or are getting ready to launch. While there are a some churches in Eastern Guilford County doing big things, we still see the need for a vibrant, gospel centered church in this area. Downtown Gibsonville is busy and alive with activity. Great restaurants, parks, a dance studio, and local businesses make this a hot spot for big crowds. We are moving our incredible church to where the people are instead of hoping they come and find us. This gives a great opportunity to meet and spread the gospel to a larger new group of people. We are excited about becoming an active, supportive member of this community. Why move instead of build? We are currently meeting on a beautiful piece of property in Mcleansville. Unfortunately beautiful does not always translate into easy and convenient. The land does not perk well for extra septic needed to build on our current property. To build on that property will be extremely expensive because of the septic issue. We were given an estimated cost of around $100 thousand just to put a septic system in. That is $100k before we ever break ground on a new building. Our heartbeat at Awestruck is to be fiscally responsible when it comes to our tithes and offerings. After meeting with several different contractors, inspectors, engineers, and other pastors about this issue over the past two years, we have decided that it is not a great financial decision to begin construction at this time. The cost issue combined with a hard to find location are the major factors that led us to decide to make a move. This does not mean that we will never build on this property. This simply means that with our budget and the current size of our church it is not our best option. Are we selling the current property? On a very selfish note, I love our current property on Butler Road. It is peaceful and a blessed place. God used that property not only to enhance our church, but also to encourage me at a tough time in my pastoral life. I believe the gift of that property was God’s way of giving His stamp of approval to the work He has called me to do. On a church wide not, the property is still an excellent location for us to do ministry. God did not give it to us to waste or leave empty. I don’t know exactly what the future holds for that property. I do know that God has a plan and we are open for wherever He leads us. Why are we moving so quickly? The original plan was to start renovations in April and move in when it was ready. God’s plan was for us to get the keys on March 8. Our plans to meet, pray and discuss the move with our congregation got expedited when we got a surprise phone call last week informing us that we could move in several weeks earlier than expected. Easter Sunday will be a great day to launch into the future of Awestruck Church. People love to come to church on Easter. For the Lilly and Poinsettia crowd (“ChrEasters”) it is one of the two times they will attend all year. I can’t think of a better Sunday to introduce the awesome ministry of our church! We will also be able to host ONE service on Easter Sunday for the first time in many years. What will you be doing to help us get in the building on time? Who are you planning to bring with you on Easter Sunday? Where will you be serving on Sunday mornings at Awestruck? How much could you give to help us achieve the financial increase for our church? On September, 7 2008 Awestruck Church launched at Eastern Guilford middle school. The location was hard to find and no one found us by accident. The school was a wonderful venue to host a church service. We formed a successful partnership with the administration and teachers. But the location was not ideal. In July 2010 our church was given an amazing gift! It was clearly a God sized miracle. Our church was given 21 acres with an existing building. It was deeded to us free and clear. (You can read the story of our current church property RIGHT HERE ) There was only one issue with this amazing gift … the location was hard to find and no one found us by accident. It was even farther off the road with a long, creepy driveway through the woods to get to the parking lot. God has a way of keeping us humble and showing that He is in full control of our church health and growth. Over the past 2 years we have been trying to outgrow the small building on the huge property. Whenever we reached maximum capacity the crowd would begin to shrink back down because of overcrowding and space issues. Our church leadership has been exploring as many options as possible over this time period. We tried to add extra service times without much success. We attempted to partner/merge with existing churches with dwindling congregations. We have toured numerous church buildings, warehouses, strip malls, and talked with architects, engineers, contractors, real estate agents, and inspectors. Every different option came with it’s own set of reasons to say “no”. Too expensive. Too small. Too big. Bad location. The land will not perk for additional septic. Needs too much work. Each “no” led to more frustration within our staff and leadership. All of us knew that something had to be done. Each of us was praying hard and putting in work to find the right option. We were willing to make any move that God would lead us to…but it seemed that the right door had not been opened. That leads us to the exciting news that has happened faster than we could have expected. In late January one of our staff made another phone call about an available property. To our surprise it was not only affordable, it was also in a Perfect location. As we walked through the property it became obvious that each of our staff was getting excited, but did not want to get our hopes up. Each of us was protecting ourselves from the disappointment of the unrealistic high hopes that had just been abruptly shut down by all the “no” over the past two years. For the first time all of us were in unity with a resounding “YES” about a new location. We invited a group of folks from our church to tour the property and give us their feedback. A bunch of great questions came out the group. They gave us good suggestions and helped us think through some issues we had not fully explored. At the end of the tour we had a unanimous “YES” from our feedback group. After 2 years of the frustrating “no’s”, could it be that God has finally opened up the right door? I am willing to say with 100% confidence that God has finally revealed His new plan and direction for Awestruck Church. We will be moving into a historic theater on main street in Gibsonville, NC. We will use a dance studio that is next door for our children’s space. This move will more than double our worship space and almost triple our children’s space. 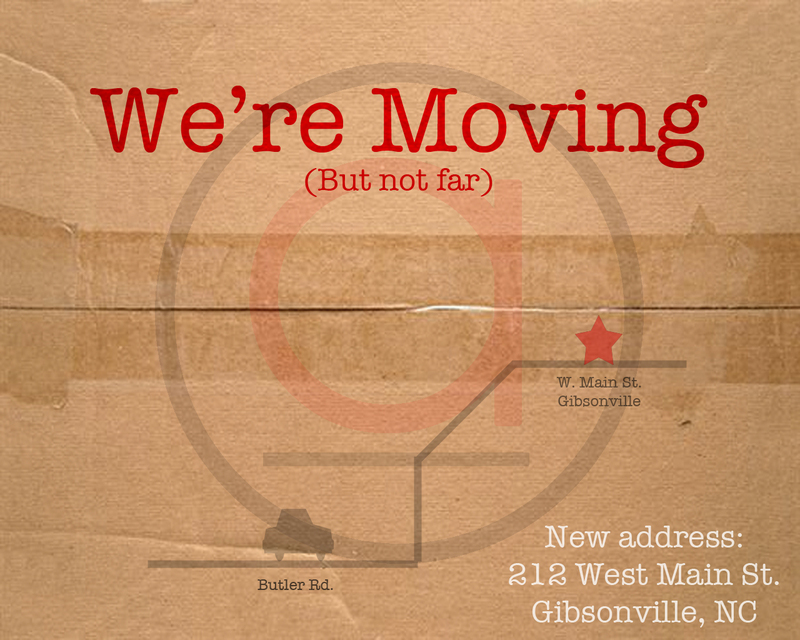 Please continue to pray for direction and guidance as we make this huge shift for our church. This seems risky, but God honors our faithfulness when we follow His perfect plans. I cannot wait to see what our amazing God has in store for His church! The thoughts expressed here reflect only my personal opinions and viewpoints. Awestruck Church is free from any blame on my rants.